As the bleakness of winter slowly turns into the vibrant season of spring, the kids and I are always on the look-out for new life as we travel down farm roads. “Awwww, look at the little baby,” we’ll cry, pointing at the newest wobbly member of a herd as we make our way to town. Other times it’s a new foal, scampering beside its mother, or our spring field favorite—lambs. As a knitter, spinner, and wanna-be weaver, I must admit that the sheep are my favorite spring creature, as I have developed a love affair with wool. The kids love the sheep because they seem so impossibly fuzzy and sweet. Yet aside from our love of soft wool and precious faces, we also have a more meaningful bond with the sheep of the fields as they are so central in our faith. Whether we realize it or not, each Sunday as we come to celebrate the Eucharist, we sing reverently about lambs—specifically The Lamb of God, who takes away the sin of the world, and honor his sacrifice. We are also all part of the flock of the Good Shepherd. The concept of The Good Shepherd is such a moving image, and an ancient theme found often in the Bible. 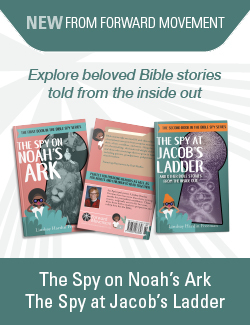 Small David, the boy who would become king, was an expert shepherd; some of the first witnesses of the birth of Jesus were shepherds in the nearby hills. And Jesus himself is the ultimate Good Shepherd, laying down his life for his flock. With this in mind, I love taking the kids to a nearby sheep farm that opens its doors throughout the year to the public. There we see that spring has brought the frolicking lambs, which also means the flock’s own good shepherd has spent many a sleepless night through the past few weeks overseeing births. I am lucky to count several passionate modern-day shepherds as friends, and know they spend many spring nights listening to their barn through baby monitors, poised and ready to lend a hand at the slightest sound of distress. They make sure that the lambs quickly bond with their mothers, and if not, take on the new babe to bottle feed until they’re ready to become more independent. Spring also brings shearing season, when that heavy warm coat that served the animals so well in the winter must come off—but at just the right time. A shepherd watches the weather, and knows to shear late enough that a sheep won’t be harmed by the cold and elements without its fleece, but before harmful pests brought out by warmer temperatures make their homes in the sheep’s skin and wool. On our visits to friends’ farms or to agri-tourism sites that raise sheep, my children and I have learned that a good shepherd is always busy. During the early spring there is lambing season, and then time to shear. Sheep are then guided through pasture land to keep them healthy and in top shape for their reason for being–either as meat animals or producers of wool. 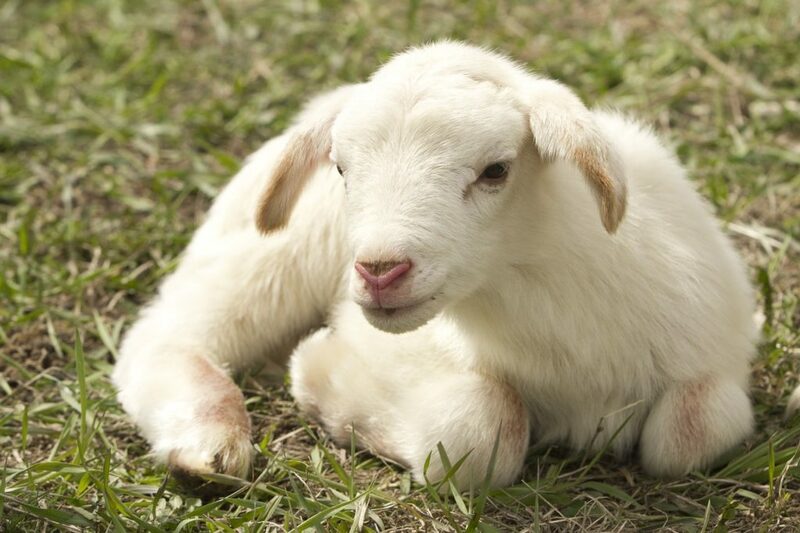 During the autumn the animals breed, and are kept healthy and warm throughout the winter to insure healthy babies and good quality wool come spring. In Biblical times, sheep were a crucial part of the lives of all people—both as sources of meat and milk, but also for fibers used to create everything from clothing, bedding, and household goods. Even thousands of years later, it is hard to find a fiber quite as durable, warm and sustainable as wool. But the quality of the wool, or the meat, and the flock in general, rely greatly on having a good shepherd. When you enter your church, take time to notice for yourself and to point out to your children, any reference to the Good Shepherd. Once you start, you will begin to find him everywhere. On the beautiful old kneeler at the altar rail, on the back of a vestment, in children’s books or in the box of toys at Children’s Chapel. The Good Shepherd is such a kind, lovely image, and one I’ve decided I want my children to learn about first as they come to know God and his Son. He knows us all by name, after all, and we should know the sound of his voice. 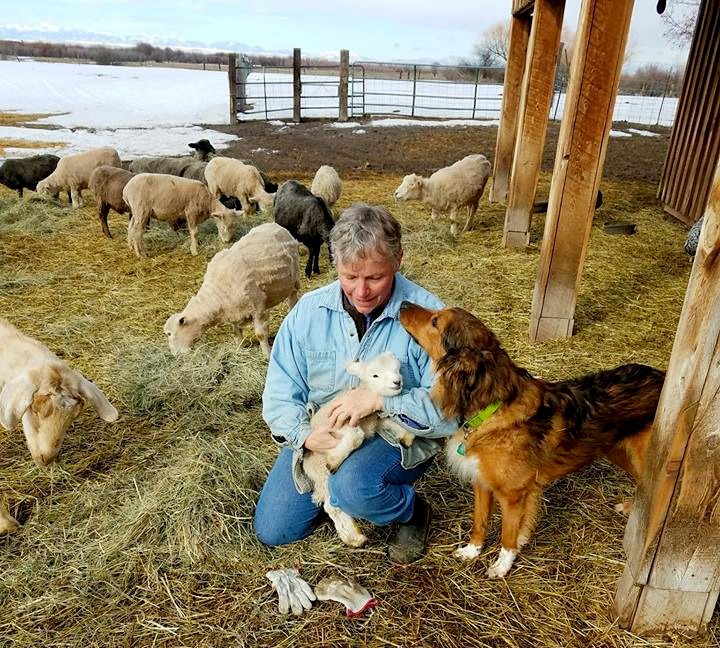 Many thanks to my friend and very good shepherd, LaVonne Stucky for letting me share a photo of her and her flock in beautiful Montana. Lavonne also runs a B&B at her sheep farm where visitors are able to stay in vintage sheep wagons and take part in life on the farm. You can purchase yarn and roving from her own wool mill at https://www.etsy.com/shop/WhereTheRoosterCrows. Where are you reminded of the Good Shepherd?